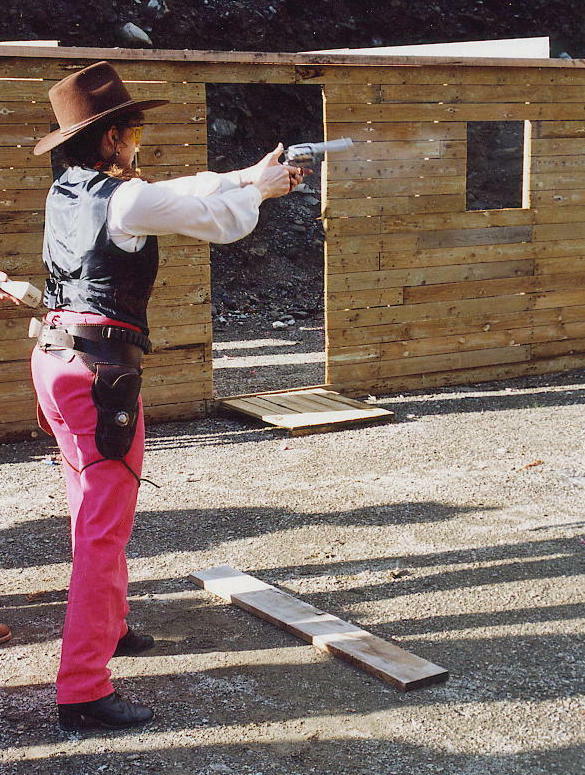 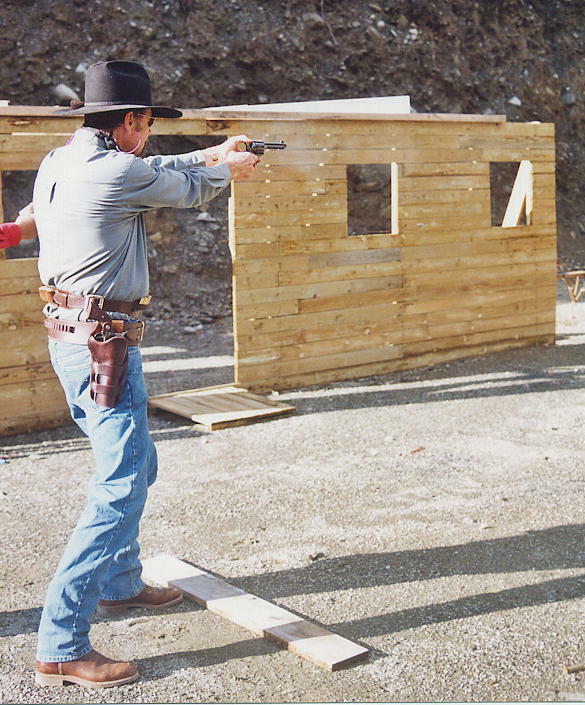 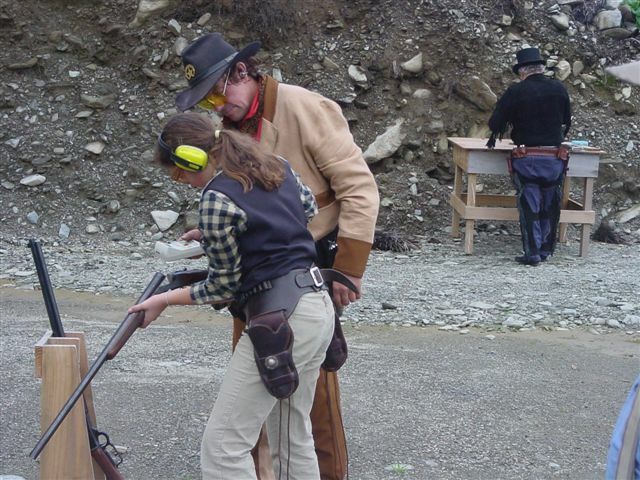 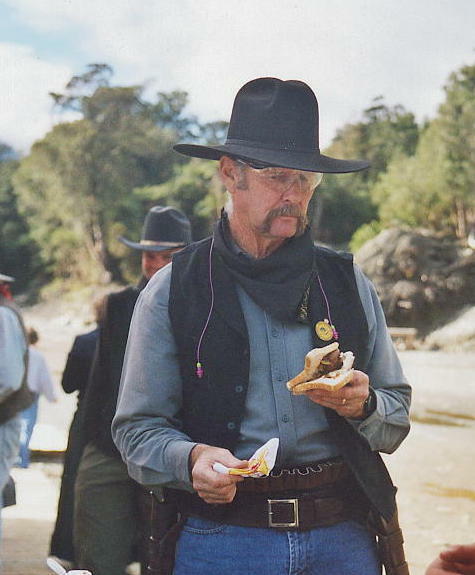 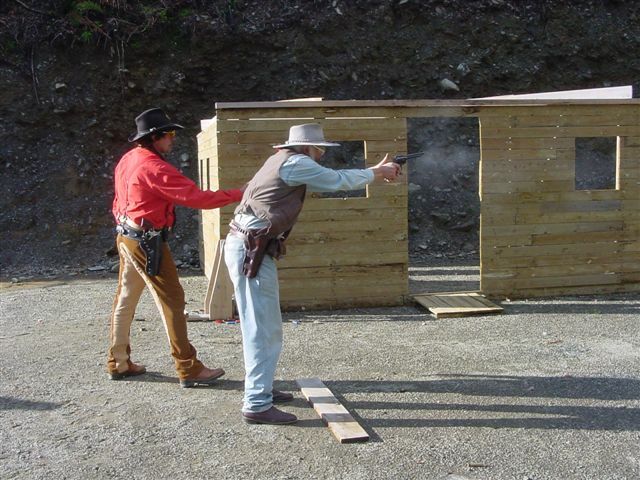 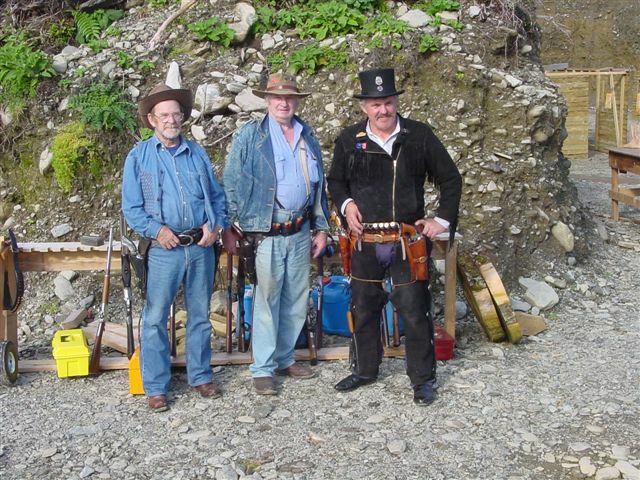 Cowboy Action Shooting, Lake Kaniere Westland NZ New Zealand, Shooting, Activities, Attractions. 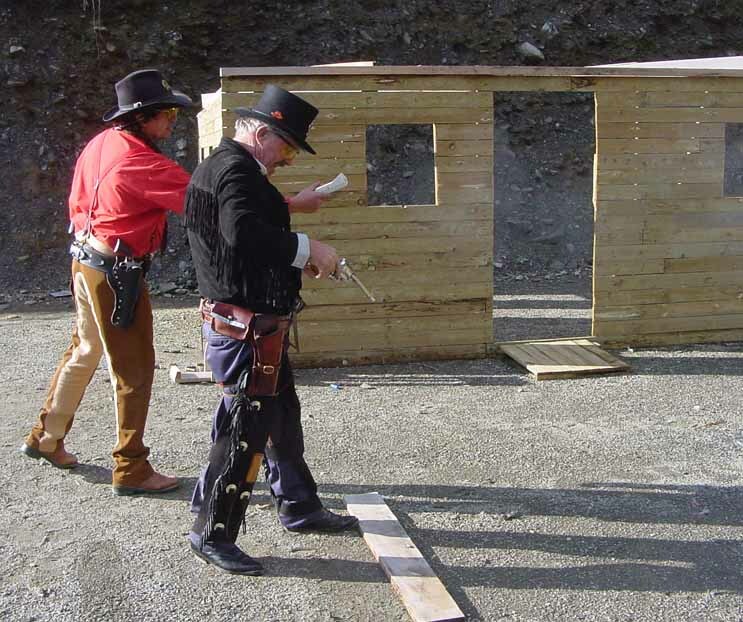 Some Christchurch cowboys Rimfire, Gringo and Oldie managed to ride over from the east coast to have a friendly shin din with the wild boys and gals from the mountains. 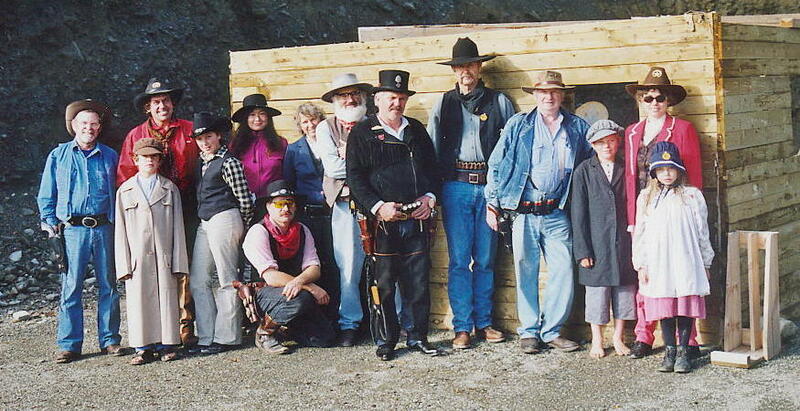 The Trail Blazers Gang, Wyatt Earp, Sudden, Dakota Dixie, Granny, Dynamite Dave, Ernie Southpaw, Madam Jade, Sapphire, Nitro Kid, Sundown, Dangerous Dolly and the Southpaw's dog Mindy made our visiting cowboys welcome and arranged some interesting courses of fire. 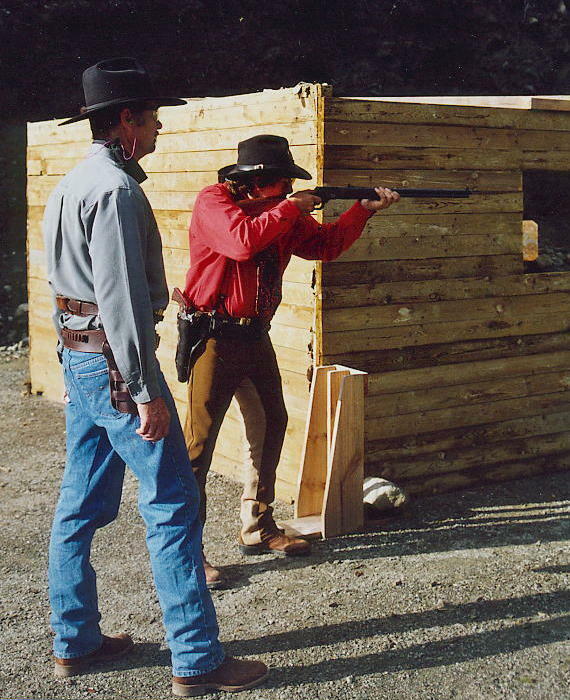 this included shooting from a fort, and hip shooting a shotty through doorways and speed shooting with a six gun. 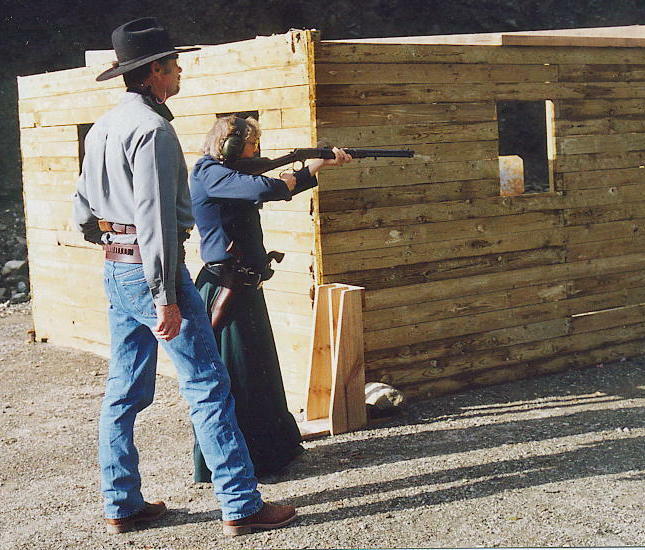 Granny shows them how, with a lever rifle. 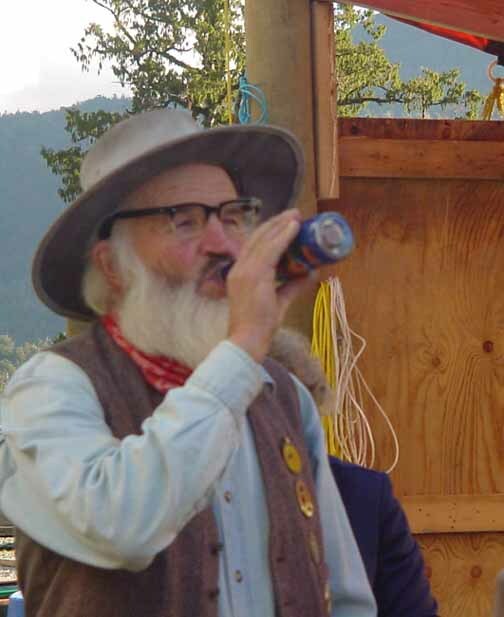 Speights time, great southern brew.